Zidane is waiting for Gareth Bale to sign! Gareth Bale where will he be recruited? Gareth Bale to move to Real for €70 million? According to the Daily Mail, PSG has decided to try his luck with Gareth Bale. A record €100 million. According to the Daily Mail, Paris enters the battle for a third man: Gareth Bale. The Welshmen Tottenham priority when Zinedine Zidane Real Madrid braid her laurels all week, obviously very expensive. The British newspaper the PSG is ready to slam €100 million in the operation. 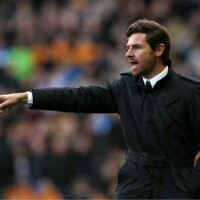 He added that the approach to PSG for Andre Villas-Boas was also intended to facilitate the operation Bale. Blocked by the uncertainty surrounding the new name of the coach, PSG has for the moment difficult to significantly move forward on these priorities. Worth waiting to see if the future technician wants him, the Rooney case is not advanced. For Bale, Paris will face competition from Real Madrid, which could definitely make him live a nightmare in the transfer market this summer!